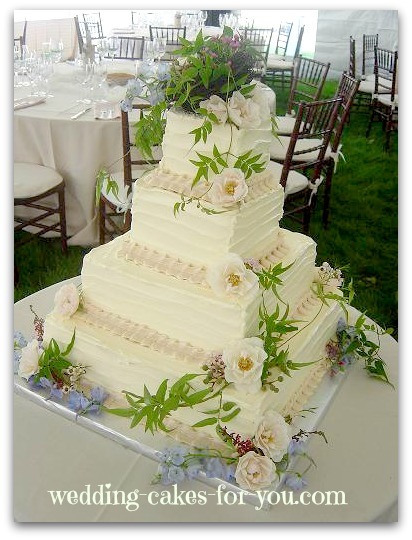 Of all of the square wedding cakes this buttercream beauty for Lisa and Ryan's wedding is one of my favorites! You cannot go wrong with a bounty of fresh flowers for decoration. The flavor is chocolate buttermilk (one of the most talked about recipes on this website) with a mocha and chocolate chip filling. The icing is textured using a flat spatula or a kitchen knife. 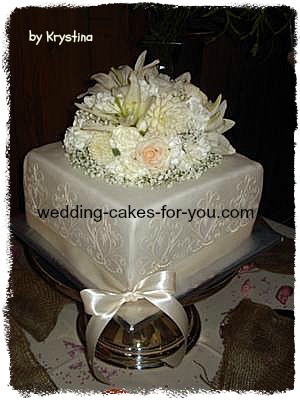 The borders are ruffles using a large leaf tip and a pastry bag filled with luscious buttercream. 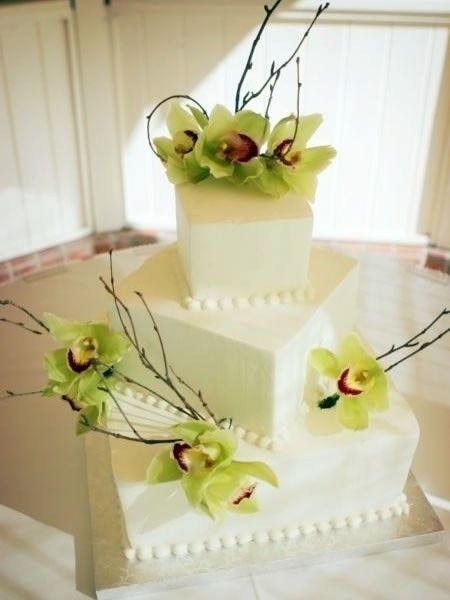 The cake has an elegant yet natural look. Enjoy the short video of making and setting up of Lindsays square wedding cake for her beautiful bridal confection. 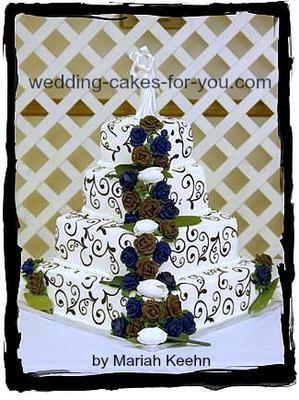 The rolled fondant design in the video below was for Lindsays wedding. 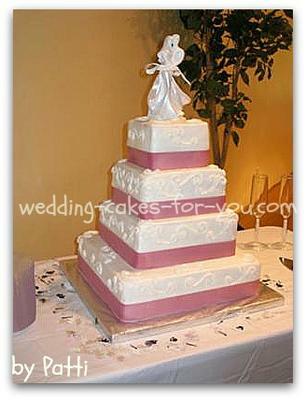 The design includes a heart shaped top tier for the bride and groom to enjoy on their first anniversary. The cake was delivered to Dover Furnace in Dover Plains New York. 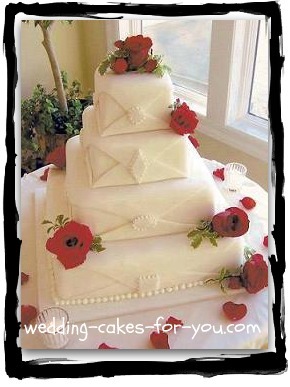 The fondant with red roses and the buttercream design to the right have a completely different feel. One is very elegant yet also playful. The other has a rustic look, yet is also quite elegant. Below: The whimsical cake on the left is a buttercream with fondant bows and ribbons. Mariah (on the right) off centered her cakes for a whimsical look too. For these particular designs you will need to begin with a large base. When you angle the tiers it requires more of a difference between tier sizes. Experiment with your pans by stacking them before baking to be sure they will fit comfortably on top of each other without hanging over the edges. 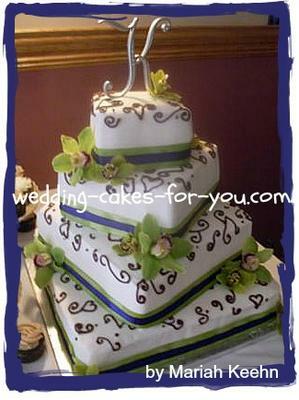 Examples below of a combination of round and square tiers make for very interesting designs. Left: Chocolate fondant and or modeling chocolate was used on the outside of each tier for the decoration. To see the simple recipe and learn more about plastic chocolate go to the chocolate modeling page on this website. 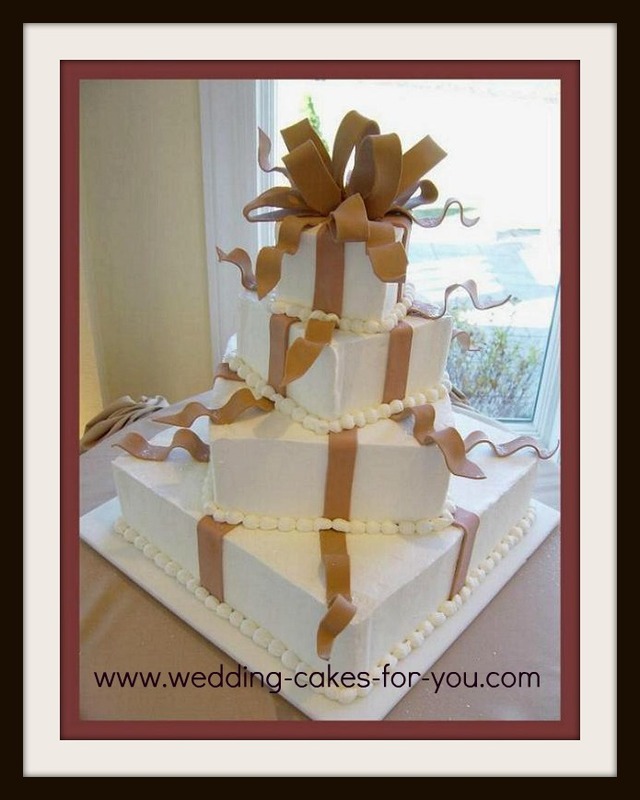 To see and learn more about fondant and how to use it go to the fondant pages on this site. 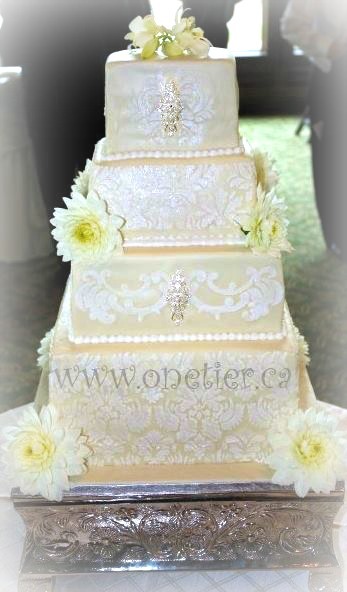 One Tier At A Time shared this tall Lacey square beauty on Facebook with us. 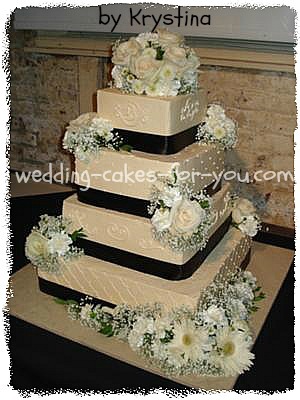 Another example of off centered cakes. This one is sheer elegance. 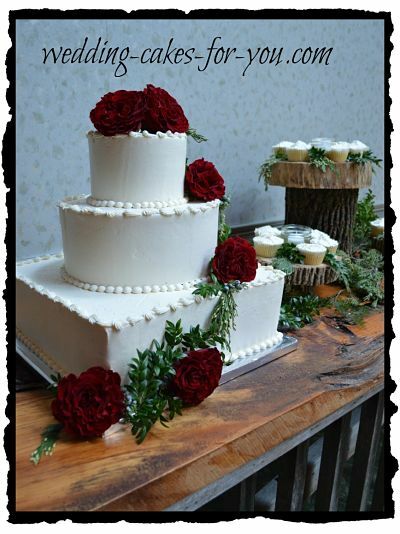 Read the stories that go with these cakes and see more pictures from readers.